www.pluritec.com | info@pluritec.com X-ray Optimizer & Automated flash/Bevel/Corner rounding panel prep Drills & Routers 24/7 automation Multi-color solder mask coaters with 15 minute fast tack oven Mechanical prep Debur - Scubbers - Pumice/Oxide PCB brush & Chemical washing Wet Process developers - etchers - strippers Cobra - MEC Etch Shadow - ChemClean The Pluritec brands that provide you with tomorrow's technology today ! 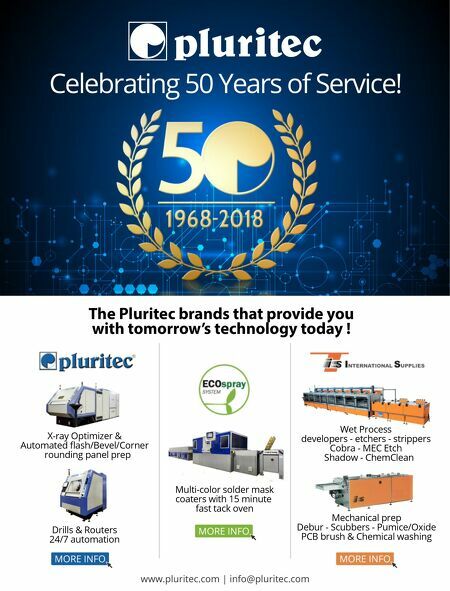 Celebrating 50 Years of Service! 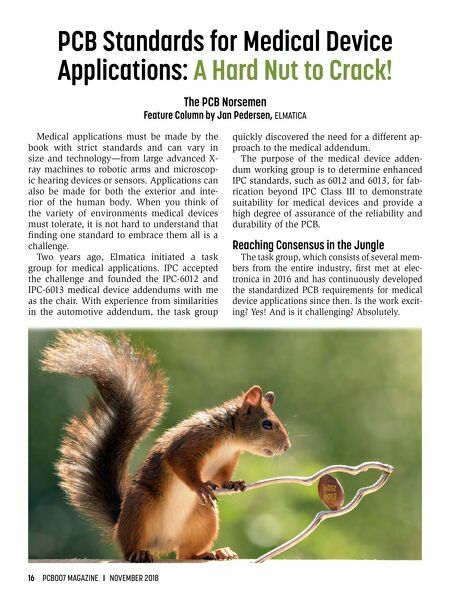 Feature Column — PCB Standards for Medical Device Applications: A Hard Nut to Crack!